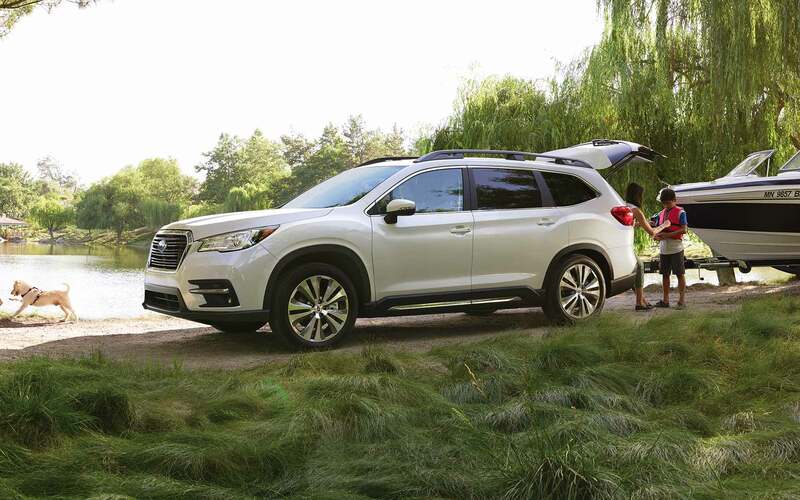 With its turbocharged 4-cylinder engine and variable transmission, the all-new 2019 Subaru Ascent provides easy acceleration and a smooth ride. This crossover SUV offers enough power to navigate through busy highways or rural roads. At Flatirons Subaru, we are eager for you to step inside of this vehicle and drive it around the Thornton area. Our staff has reviewed this vehicle. Here are a few pieces of information about the new 2019 Ascent that you'll find useful. 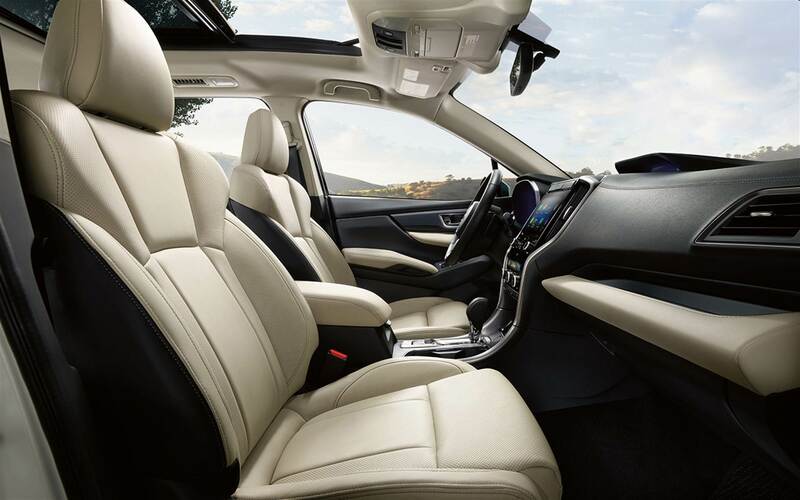 This spacious SUV has seating for up to 8 passengers. This is good news if you have a large family or you enjoy driving for your friends and family. It's available in 4 different trims - Ascent base model, Premium, Limited and Touring. 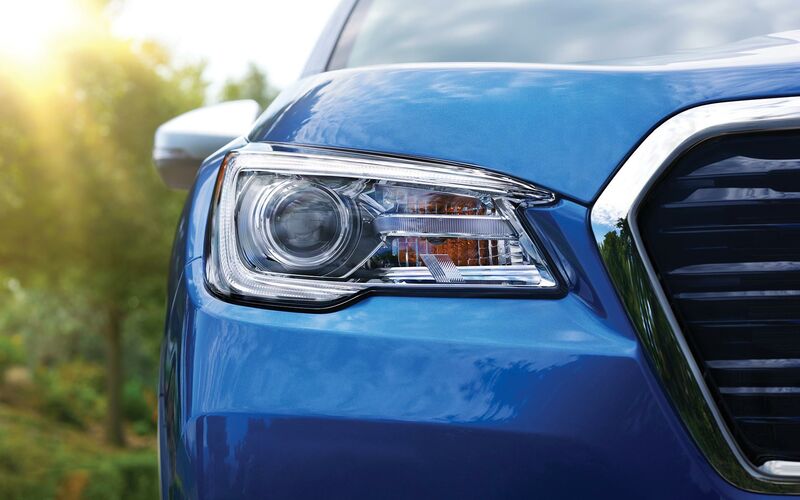 Standard features for the Ascent base model include symmetrical all-wheel drive, Vehicle Dynamics Control, 4G LTE Wi-Fi and Subaru STARLINK Multimedia. The Premium trim offers a second-row bench seat, EYE SIGHT driver assist and available 20-inch alloy wheels. The Limited trim includes LED fog lights and body-color door handles. The Touring trim offers satin chrome side mirrors, two-speed windshield wipers and raised roof rails. This SUV offers up to 5,000 pounds towing capacity. 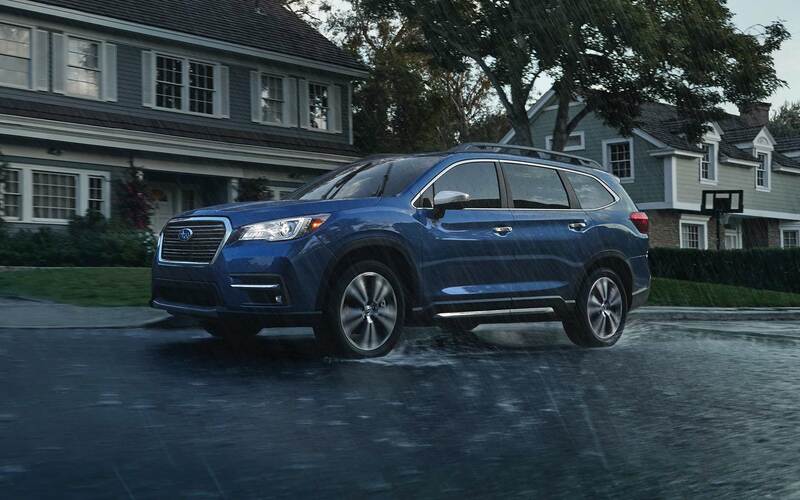 If you want to customize your 2019 Subaru Ascent, you can mix and match options to build a vehicle according to your specifications. Flatirons Subaru serving Thornton Colorado is pleased to present the new 2019 Ascent to our customers. 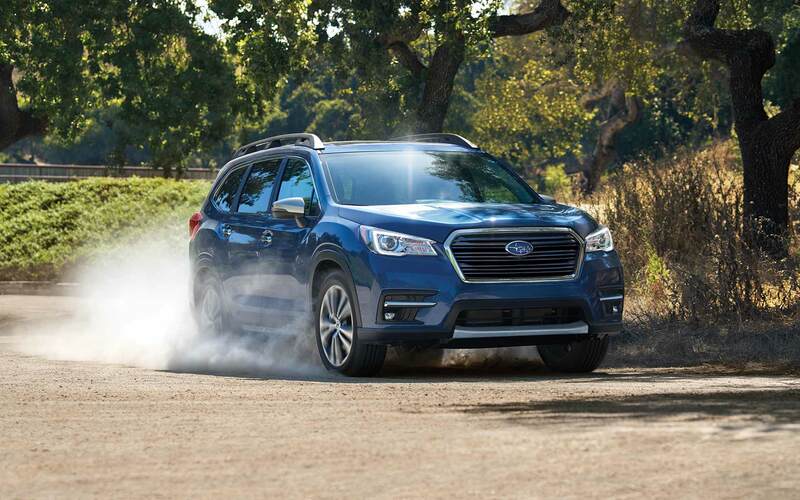 With our deals and new vehicle incentives for the 2019 Subaru Ascent, we offer so many different ways for you to save at Flatirons Subaru. To find the new 2019 Ascent that's right for you, visit our dealer serving Thornton Colorado for assistance. The interior of this SUV offers many amenities that are sure to put a smile on your face. When it comes to interior cabin space, this SUV is roomy. For starters, there is up to 41.3 inches of headroom and 42.2 inches of leg room in this vehicle. The cargo volume behind the second row seat is 47.5 cubic feet. Notable interior amenities are power rear gate with height memory function, front passenger window with pinch protection and USB ports (front and second rows). Interior color selections for this SUV include Slate Black Cloth, Slate Black Leather, Warm Ivory Cloth, Warm Ivory Leather and Java Brown Leather. If your passengers enjoy consuming beverages on the road, there are 19 cup holders in this SUV. With its panoramic sunroof, you can enjoy the sun-filled sky during the day and the moonlit sky at night. Available interior accessories include all-weather floor liners and a second-row seat liner. This SUV gives you a diverse option of colors. Colors that you'll find on this SUV include Crystal White Pearl, Tungsten Metallic, Magnetite Gray Metallic, Ice Silver Metallic, Crimson Red Pearl, Cinnamon Brown Pearl, Crystal Black Silica and Abyss Blue Pearl. Its wheelbase is 113.8 inches and length is 196.8 inches. Impressive exterior features include projector beam halogen headlamps and satin chrome side mirrors. Exterior convenience features include automatic on/off wiper-linked headlights and a power rear gate. Available exterior accessories include a rear bumper cover, LED upgrades, a crossbar set and a trailer hitch. Mechanical features include electric power assisted steering, 4-wheel disc ventilated front brakes, antilock brakes and active torque vectoring. It also comes with X-MODE. This is good feature to use when you drive on low-friction surfaces. X-MODE provides the vehicle with traction and prevents it from skidding. Drivetrain features on this SUV include a Lineartronic continuously variable transmission, a 2.4L DOHC turbocharged engine and 4-wheel independent raised suspension. If you're interested in additional powertrain features, contact our dealer in the Thornton area. Our brand understands that safety features are the most important components of our vehicles. Standard safety features include brake assist, a tire pressure monitoring system, daytime running lamps and a brake override system. Available safety features include high beam assist, a 180-degree front row camera and reverse automatic braking. Flatirons is a top dealership in the Thornton area that sells 2019 Ascent vehicles. When you look at the sticker price of our vehicles, you'll notice that we offer fair and competitive pricing. At our full-service dealership, you can purchase used vehicles, schedule a recommended service or purchase original equipment manufacturer parts. As evidenced by our customer ratings, we offer remarkable service to our customers. When it comes to car sales, we're not your average car dealer. Our goal at Flatirons is to transform the car buying process. We welcome you to come to our dealership at any time to save at Flatirons Subaru. *This article provides general information about our dealer serving Thornton Colorado. If you require specific information about our deals that can help you save at Flatirons Subaru, notify us by telephone or email.